If you are a chess fan, you know how hard it is to find the chess game that offers you just want you need. Many chess programs are too hard for beginners to get started with. Some others are so easy they are almost laughable. Mastersoft Chess is a powerful program that has something for everyone. Mastersoft Chess has a powerful engine inside. In fact, it finished 4th at the WMCC. The engine can be difficult to beat at its highest level. But users can adjust its level of difficulty to make the game more playable. This app comes with a large opening book with 23000+ moves. 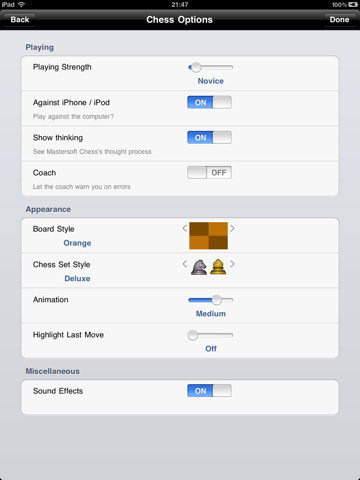 You can use it to analyze games or set up positions too. 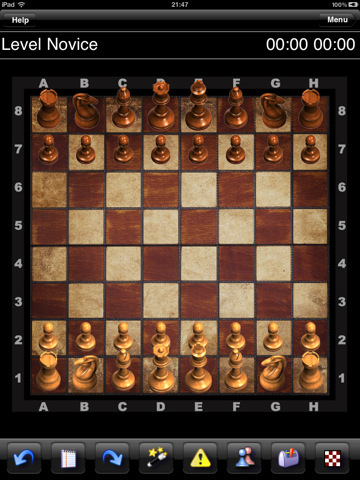 Mastersoft Chess offers various board styles. The chess sets are nice to look at and do not take away from your experience. The animation is pretty smooth too. 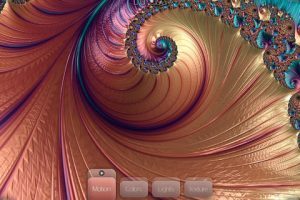 If you are into chess, Mastersoft Chess is worth checking out. It is quite cheap for what it offers.